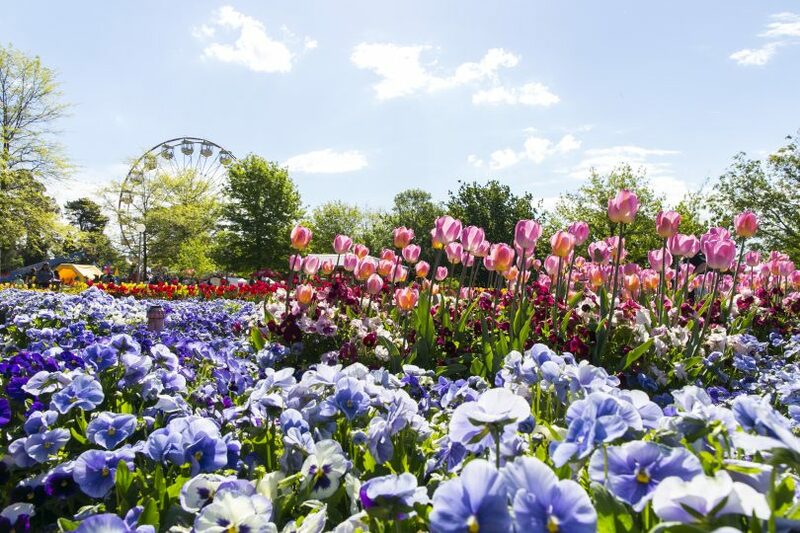 Floriade is celebrating 30 years in bloom. Photo: Glynis Quinlan. Floriade 2017 opens next Saturday, celebrating 30 years in bloom in the nation’s capital with a range of new events and improvements. The free event will mark its anniversary with a ‘rejuvenation’ theme and aims to build on the best features of its past while incorporating a range of new attractions. 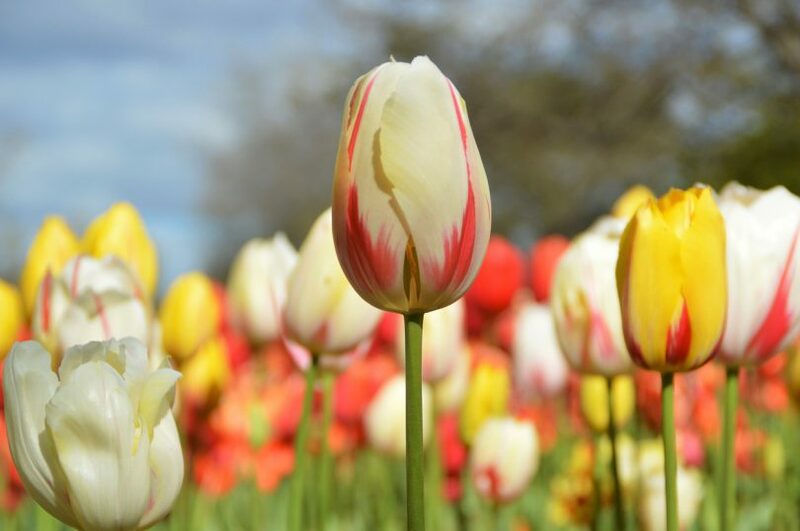 Floriade runs from September 16 to October 15 at Commonwealth Park and this year has extended opening hours from 10 am – 7 pm. The annual spring event is a huge drawcard for tourists, injecting around $40 million into the ACT economy across 30 days. But why should you attend? Haven’t you seen it all before? The RiotACT brings you five reasons not to miss Floriade 2017. To celebrate its milestone anniversary, the flower-filled festival will this year showcase more than one million flowers – with an increase in the flower bed footprint across Commonwealth Park. Eighteen months in the making, this year’s garden bed designs will feature more flowers planted across new spaces within Commonwealth Park and will showcase the best performing and favourite designs since the inception of the event. Discover sculptural surprises around every corner as some amazing works of art transform Canberra’s Commonwealth Park. The masterpieces have been created by a mix of local and national talent, using everything from natural stone through to repurposed plastic. Sydney-based Lucy Humphrey’s incredible Horizon piece (pictured above) gives a taste of the sculptures on display. 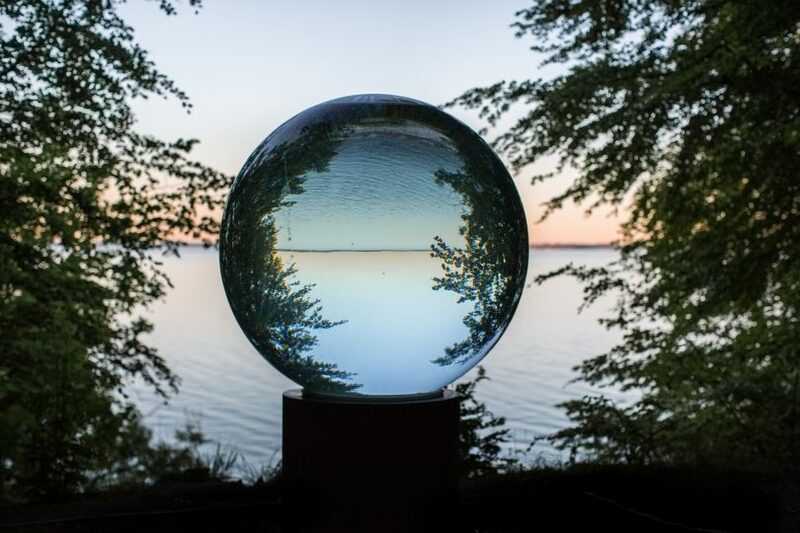 The round acrylic orb took months to create and will show a unique take on Floriade, as the viewer sees everything turned on its head. 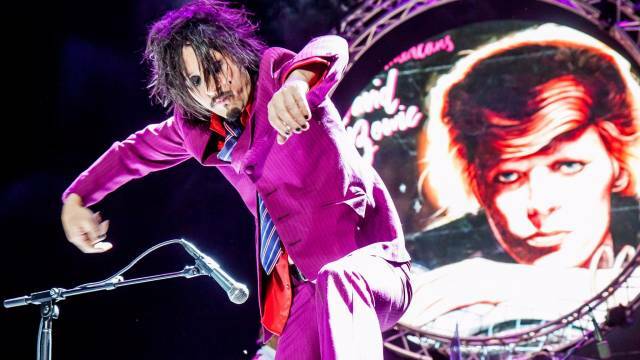 This year’s Floriade will include its first ever twilight concert, featuring an open air musical performance by The David Bowie Tribute band supported by the Canberra Symphony Orchestra. Dance the night away and transport back in time to sing along to all your favourites, from Let’s Dance through to Starman. This ticketed event next Friday, September 15 offers an exclusive opportunity for visitors to see the 2017 flower bed designs before the gates officially open the next morning. Tickets are available here. 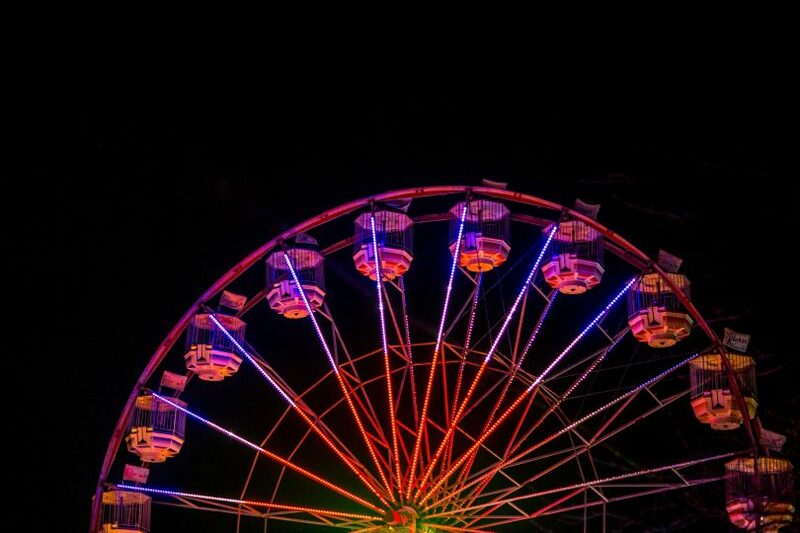 Doubling the fun, and by popular request, Floriade’s after-dark experience, NightFest will run across two separate weekends. Illuminated installations will light up the park after dark and this year include an increased offering of lighting designs and interactive installations. This year’s NightFest program offers more live music, roving entertainment, local food and beverage options and a large new, designated stage for comedy performances. 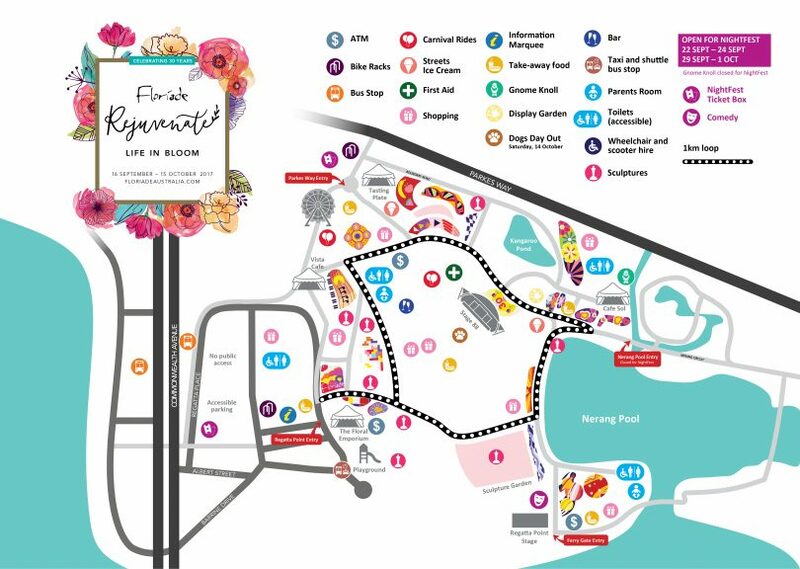 Enhance your Floriade 2017 experience with Floriade’s new app, featuring interactive maps to guide you through the park, and timetables to ensure you don’t miss a thing. This year’s app even has a flower-themed filter to help you get that perfect Floriade selfie. Are you planning to visit Floriade this year? What is your favourite part of the flower festival? Let us know your thoughts in the comments below.